Unique HR Solution, Unique service - ALFASOFT not only developed a wonderful product - They guide you through making the product work for YOU! Professional solution and Professional staff... Could you ask for more? ALFASOFT solutions was extremely helpful with powerful functions. Awesome service from support team. Love this company! I'm so glad I got the software from ALFASOFT. You give the very best support of any company that I have ever dealt with. I am truly amazed at how quickly you always respond to questions that we have. You seem to be waiting there just to answer our questions. Your wonderful service is what any company should strive towards… and you can quote me on that. 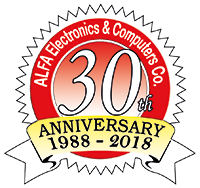 After almost a year of using ALFA Time Pro, we are very happy with the whole thing. I have to say this is one of the greatest tools we have ever used. Not one single problem in one year!